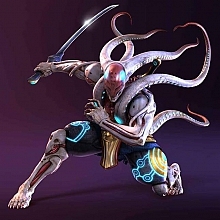 With the announcement of Season 2 Pass having balance updates, I'd like to share my wish list, new and old, for Yoshimitsu. - Guarantee the hit of Supreme Soul Stealer (RAGE u/b+1+4) on activation. - d/f+1,4 be -12 and not jail. - ws 1 as 13f. - Guarantee the hit after KIN parry. - Fix hitbox of u/f+4 and DGF 4. - d/f+1+2 knockdown on counterhit again. - BAD stance moves fully high crush. - BAD 3 crumple on counter hit again. - Be able to Rage Art from KIN. Move KIN b+1+2 to KIN u/b+1+2. - KIN d/b+1+2 as Ultimate Tackle. - DGF 3+4 animate on hit on any axis. - IND 2 same properties as standing d/b+2. - FLE walk 3_4 to FLE f+3 and FLE f+4. - cd+3 as KIN 3. - fc D/F 1~NSS transition. - NSS d+1 U!. Reverts to 1SS. - More range for bt flash. Ability to bt 2 S! combo after. - Soul Possession absorb health when broken. - - Agreed. It should have a vacuum effect. - Fix hitbox of u/f+4. - BDS 3 crumple on counter hit (bring back). - - Also b+2,1~DGF transition. - KIN 1,1~NSS transition (bring back). - NSS d+1 unblockable. Reverts to 1SS. 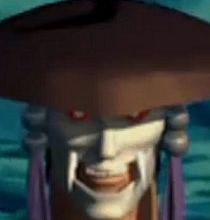 - IND stance taunts (bring back). - - Agreed on all. - Make f,f+2 a Power Crush and at least -10. Auto-extends if armor is triggered and hits. - Give us f,f,f+2 or WR (running) 2. Auto-extends, safe, has proposed 1+2 RD option. - And for FFS, fix 3~4 when buffering!. Tired of getting TRAGIC 3 (standing 3)! - Something new added to KIN 2. KIN 2~1+2 is obsolete out side of floor breaks mostly. - More functionality to Flash (reflect/split projectiles and lasers, etc). - Give him the X slash projectile from the Tag 2 item (black blade). - - It can come from KIN b+1+2 (Hold); Sways back and instead of U!, fires projectile. - - Alternate way to facilitate the X slash projectile? Yoshi eats one, then can fire one. - - His sword(s) would glow while he has a projectile stored. - Allow Unblockable Sword Fan to reflect projectiles back to the source. - Unique forms of wakeup, like Bears or characters that can FLY. 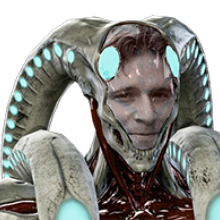 - KIN 1+2 having a hitbox on both sides (back as well as front). - SC6 relative buffs (like d/f+1+2,2 into DGF etc). EDIT -- Added the f,f,f+2 running variation. I completely forgot about it. This version auto-extends on any hit and can be turned into rage drive with :1+2. EDIT 2 - Added fixing 3~4 when buffering after another move. No more TRAGIC 3! Good job on the ideas guys. None of them really sound unreaistic. Quite a lot of them I hope for myself. Clonimitsu throw, and maybe one or 2 new Clonimitsu moves would be amazing. I apologise in advance if I stack with any other existing thoughts and ideas. I'll try not to, and add a few bits. Although the following aren't my main hopes. D/f2 should be a higher class launcher like it used to be in previous games. You used to be able to do things like df2, uf~n4. This would help make the max df2, ff4 combo less strict to time. NSS KIN2 should either be safer, have different properties, or have an extention like in 1SS. As it stands it's near useless. Transitions from IND should be less vulnerable to floats. CD2 -13 would be nice. Make uf3+4~ d1+2 a grounded reset again. F3+4, FLE1+2, CD2 should work on axis, or it should be safer. F3+4~b on successful power crush should grant a free BT punish or soooomething. Worst PC in the game. NSSf3+4 should launch or be safer. Or make it safe and remove PC property. BT1,2 should be an NC. Make standing 4 faster. CH4,4 should grant CD2, S! UB1+2~1,1~ B hitting late in the animation should consistently grant CD2 float. NSSub1+2~1+2 should not be launchable. Make uf3 like it used to be. It hit deeper and crushed a bit better. If I think of anything else I'll add. Just top of my head. I would like to see some outfits more close to Yoshi's early designs, like his first P1 outfits (Tekken & Tekken 2). Give yoshi soul calibur manji crave fist! Add more range to d/b+2,2 series I rarely use it for fc mix ups due to the poor range even though it high crushes. I have a simliar problem with b+1,1 series. The string has very good properies, but i find it problematic to use it due lack range and speed. It's should have more range for it to travel fruther, or have it's speed buffed so that it's more useful up close. Either way it would be cool. Give yoshi a sick wall bounce move, so that his wall combo damage is improved overall.